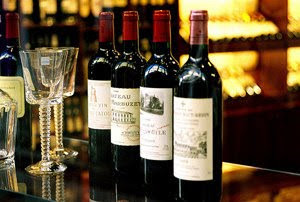 Bordeaux is among the most famous of French wine regions, with more than 6,000 châteaux. Featuring the ever-popular Merlot and Cabernet Sauvignon grape varieties, Bordeaux wines can also include Cabernet Franc, Petit Verdot, and Malbec depending on each appellation d'origine contrôlée (terrior) and château. Michael Madrigale, Chef Sommelier of Bar Boulud, will be on hand, presenting some of the most well-known Bordeaux appellations and offering his views on the classic refinement and the "Bordeaux" art of blending grape varieties. The wine will be provided by Clarendelle, from Château Haut-Brion.